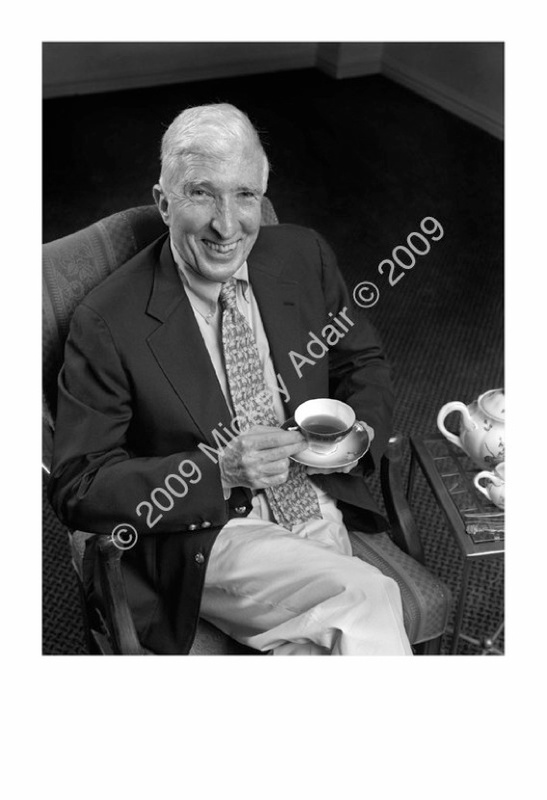 Two time Pulitzer Prize winning author John Updike is posed at the University Center Club prior to his reading at Seven Days of Opening Nights at FSU in 2000. I read a short story he wrote about how to drink a cup of tea. Here he poses with my grandmother’s tea service. You can see a crack in the cup that I glued back together after an unfortunate collision with my mother’s china shelf and our dog.